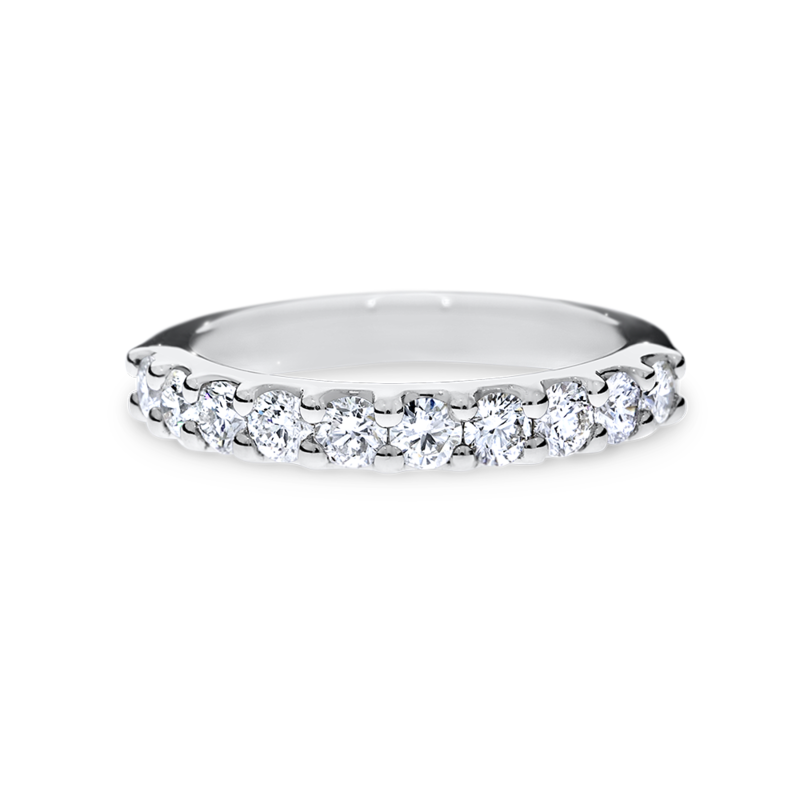 Round brilliant-cut diamonds are delicately nestled in rounded claws for a look that is classic and brilliant. A stunning complement for engagement rings with shoulder stones or a beautiful stand-alone statement piece. Featuring 10 diamonds for a total of 1 carat. Available in a range of diamond weights and in 18ct yellow, rose and white gold or 950 platinum.